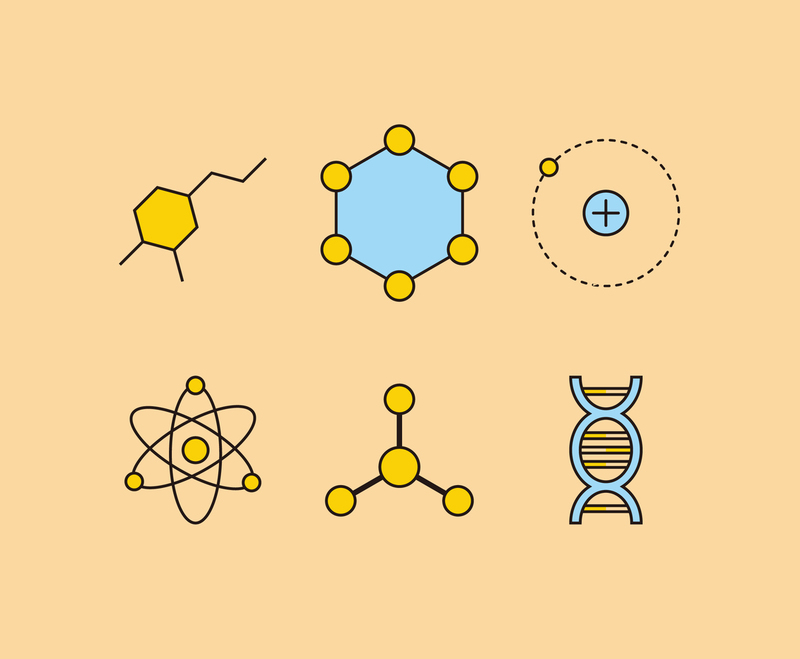 Various molecules, particles, atoms and DNA chain vector illustration, designed in simple flat style. This set can be used for design project related to biochemistry, experiment, biology and chemical research theme. It is free and easy to edit to fit your design project.